Yet another country YAH from Starbucks. 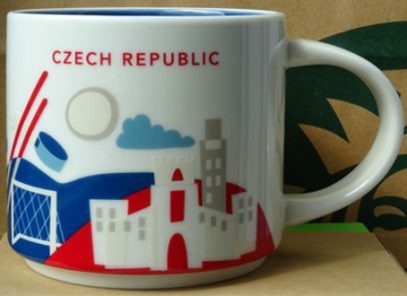 It is just about to hit stores, but we already have a sneak peek of You Are Here Czech Republic today. – Hockey net, sticks and puck – hockey is very popular in Czech Republic. NHL has many players from that country.